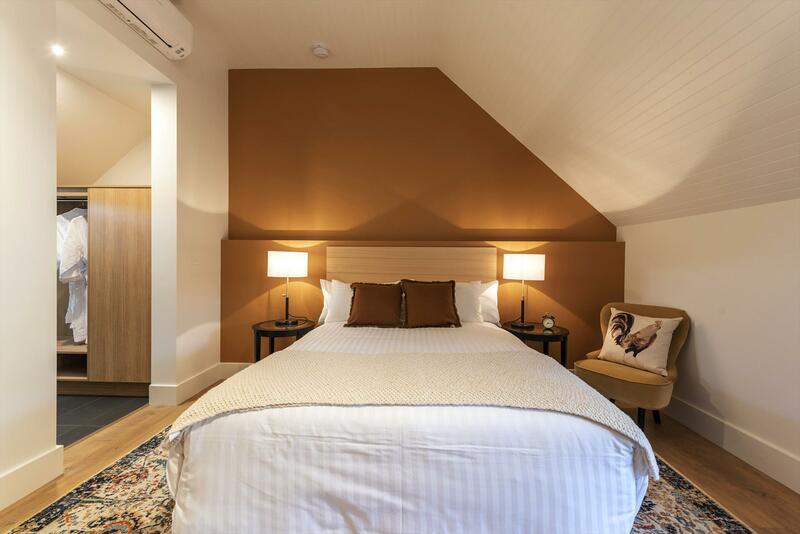 Prospect House is a grand boutique hotel in the historic town of Richmond, just 20 minutes from Hobart in Coal River Valley wine country. This 12-room country hotel offers delicious dining from country style breakfast to picnic lunches and decadent dinners for the ultimate gourmet getaway. Prospect House is an elegant 12-room private hotel with more than 190 years of history to tell. 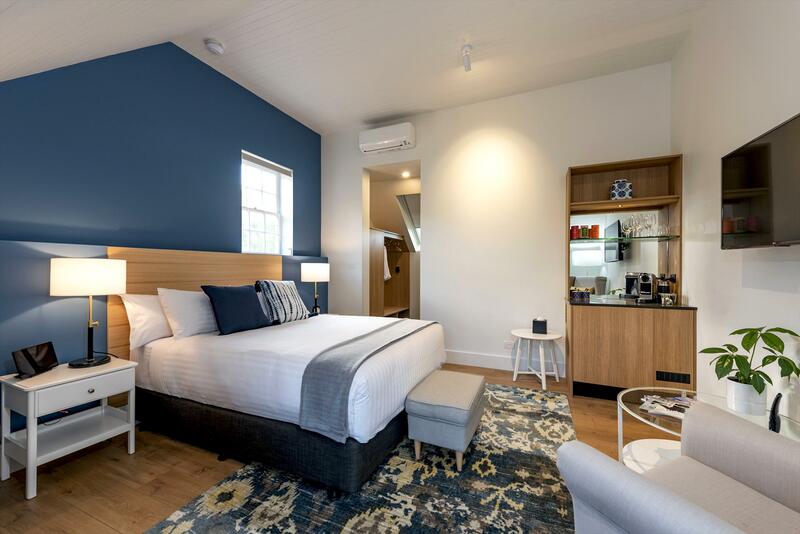 At the gateway to Richmond Historic Village, Prospect is the perfect base to explore the Coal River Valley wine region, Greater Hobart and world heritage listed Port Arthur Convict Site. 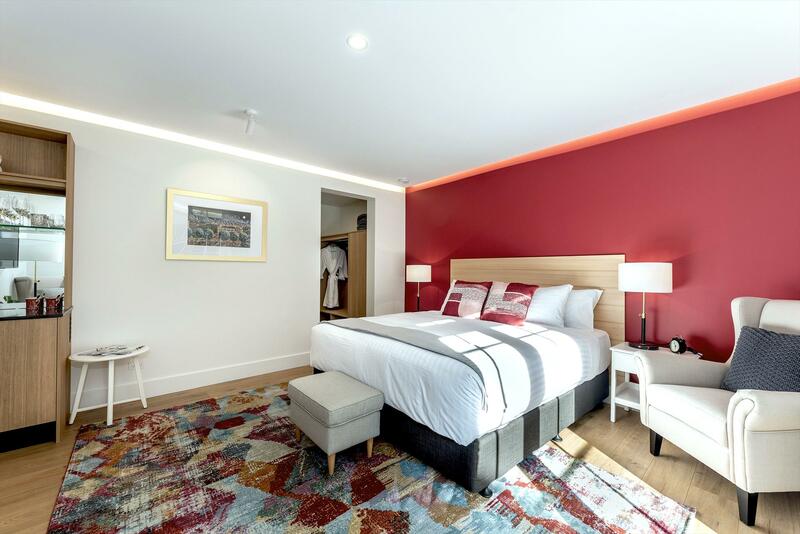 Each room is individually designed to reflect the history and character of the original home, and generously appointed to ensure all the comforts of a contemporary hotel. Available for intimate and luxe events, Prospect House is the ultimate location for celebrating, offering a country experience like no other. The restaurant at Prospect is open to non-staying guests all year round, with a focus on the region and a farm-to-table mentality where an onsite garden and orchard provide a bounty of produce featured daily. We offer personalised service and genuine hospitality within a luxury that is understated and homely. 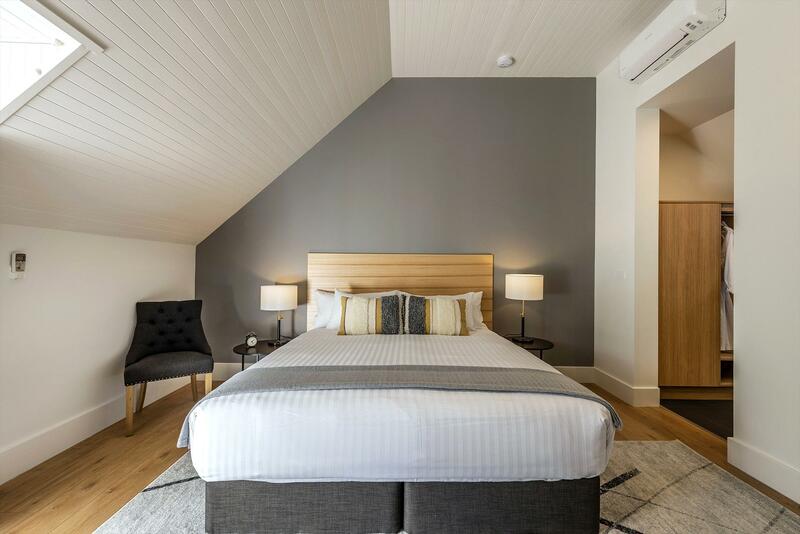 Prospect House is located approximately 15 minutes drive from Hobart Airport in picturesque Richmond. If cancelled before 5pm 14 days prior to arrival a deposit of one nights accommodation will be charged. At 7 days prior to arrival the entire reservation is non-refundable. Different rules apply for group bookings. Bookings made for a stay(s) between 23rd December and 5th January inclusive; or for the part of the booking which falls between these dates fall under the cancellation policy as applied to group bookings. If terms are within the cancellation period guest may choose to credit their payment toward a future stay for use within 6 months of the original booking date. We strongly advise guests to take out travel insurance to protect them against unexpected changes to their travel plans. King bed villa room with french doors opening onto garden courtyard. 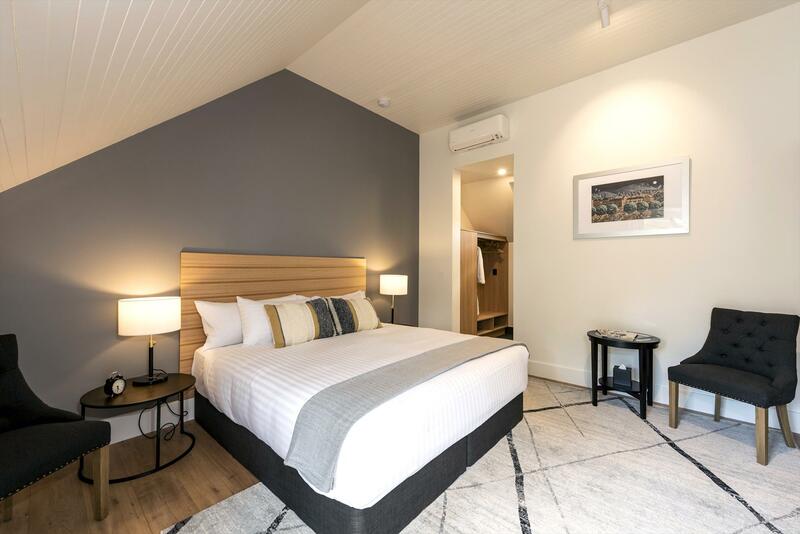 Room features ensuite with rain head shower, luxury Molton Brown amenities, Samsung tablet, Tasmanian mini bar, Nespresso coffee maker and teas from Poet Organic Atelier. Queen bed villa room with french doors opening onto garden courtyard. 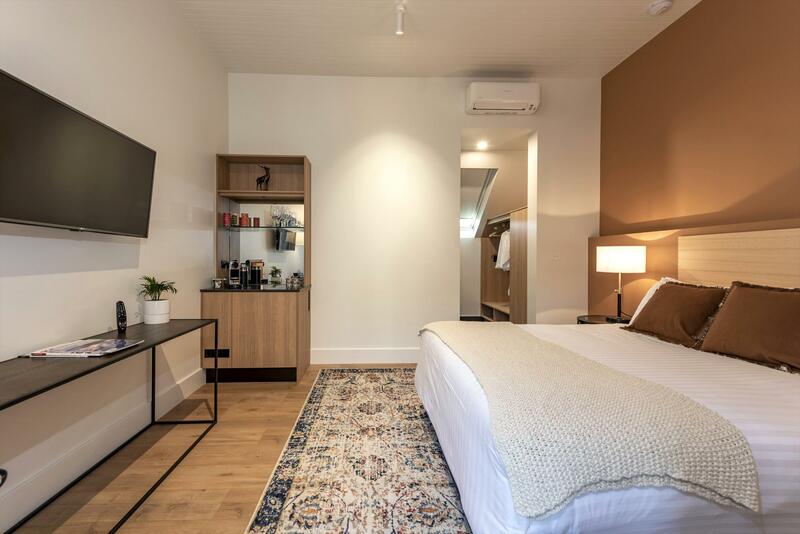 Room features ensuite with rain head shower, luxury Molton Brown amenities, Samsung tablet, Tasmanian mini bar, Nespresso coffee maker and teas from Poet Organic Atelier.